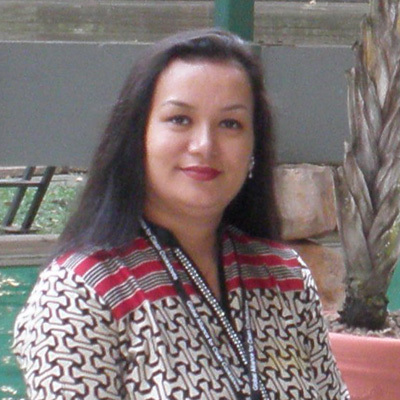 Ms. Shubha Laxmi Shrestha is a Senior Technical Officer at Alternative Energy Promotion Centre (AEPC) and Programme Manager of Biomass Energy Sub-Component of National Rural and Renewable Energy Programme (NRREP) of Nepal. The Alternative Energy Promotion Centre established in 1993, is an apex institution to mainstream renewable energy technologies through increased access, knowledge and adaptability contributing for the improved living conditions of rural women and men in the country, under the Ministry of Science and Technology, Environment. Being Programme Manager in BESC, she performs the key role for policy formulation, planning of solid biomass energy sector, coordination among stakeholders including external development partners, standards/guideline formulations, monitoring and evaluation of the disseminated clean cooking solutions in the country. Nepal has a National campaign to have clean cooking and lighting solutions for all by 2017. With the recent devastating earthquake in Nepal, she also performs as a coordinator for energy solutions, basically lighting and clean and safe cooking solutions. She received her Masters’ degree in Energy from Asian Institute of Technology, Thailand with three awards of excellence for which she received Nepal Education honor Gold Medal from President of Nepal.